Food science experiments can teach us a lot! ...let's ask some questions about fruit. Here are some important questions to get you started. These aren't the most important questions, though. We'll ask that one later. 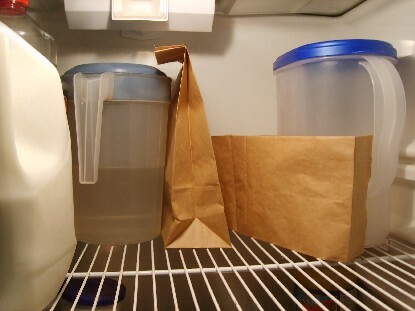 See if you can add to this list for food science experiments. Where do you keep fruit? Where do stores keep fruit? Where is fruit best kept? Write it down on a piece of paper. Don't change it until you see what the fruit does first. We call this guess our hypothesis. ...let's experiment! 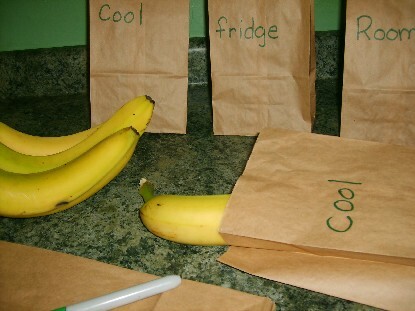 Place each piece of fruit in a separate paper lunch bag. As we said, handle the fruit gently. Mishandling the fruit might ruin the project. Don't forget to take pictures of this step. Don't forget to take lots of pictures of your fruit everyday. Pictures show you did your own work. It's important to check your fruit everyday. Don't forget! The experiment won't work right if you don't pay attention to what's happening. Make sure you keep your chart. You'll need it for the next step. 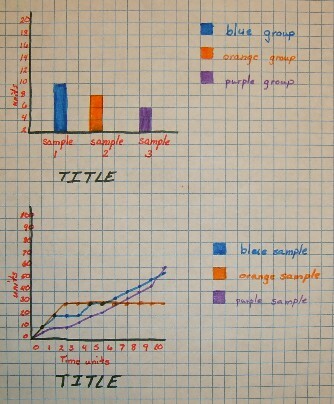 ...it's time to make the graph! Take your graph paper and put "day one", "day two", "day three" and so on down the side. How ever many days you checked the fruit, put that many days down the side. 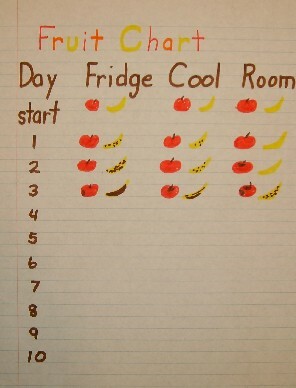 Now write the different places you put the fruit at the bottom. You'll need two graphs, one for each kind of fruit. It's time to tell what you've noticed. Write a report about what you noticed. 1. What you guessed about the fruit. 2. What you did with the fruit. 3. Which bag of fruit lasted the longest/least amount of time. 4. If your guess was correct about the fruit. If you want more information about displays for food science experiments click here. You can also buy displays at many retail stores that may fit food science experiments. However you do it, make sure you follow science fair rules! If you want to get some ideas for your display we have some examples for you. 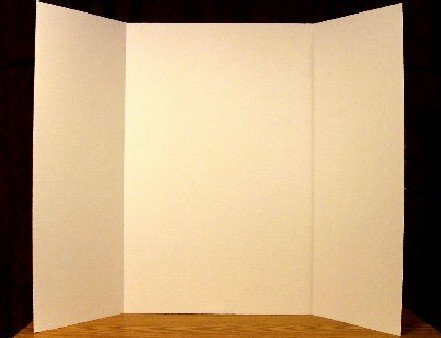 Just click here for examples of experiment displays and other science fair helps. Try playing with some of the display ideas you see. Some will make great displays for food science experiments. Others may not. You don't have to use the exact ones we use. Make them fun! Be creative! Whatever you do, have fun with food science experiments! Finished with food science experiments? Click here to see more projects!